As you may have spotted in our news section over the last couple of weeks, we’ve just re-vamped the TORQ bar, TORQ’s original performance product. Born in 2004, this 2012 re-birth comes in a new size, tweaked recipe and striking new packaging. TORQ’s new 45g TORQ bar now contains 30 grams of carbohydrate, which will provide you with the same carbohydrate dose as a TORQ gel or 500ml of TORQ energy drink. This concept has enabled us to launch the new TORQ Fuelling System, which makes fuelling for endurance sport extremely easy to understand. This new system is now explained in some detail at www.torqfitness.co.uk/torq-fuelling-system but keep an eye on this link, because there’s more to follow. We have also improved the TORQ bar recipe, so that they have a subtle crunch, richer flavour and are moister and easier to eat than ever before. The new TORQ bars are also now officially Fairtrade, which guarantees farmers in the developing world a fair price for their crop.  The Organic Mango bar isn’t officially a Fairtrade product, but it does contain fairly traded organic mango and is certified ‘Organic’ by the Soil Association. We think that there may be some initial concerns from our customers about the fact that the TORQ bar has been downsized from 65g to 45g, but we didn’t consider this decision lightly. By taking 20g off the size of the TORQ bar, it now delivers 30g of carbohydrate, which is the same carbohydrate content as one of our TORQ gels or 500ml of TORQ energy (@6% concentration). This downsizing has enabled the new TORQ Fuelling System to come into fruition, which is fabulous for our customers, because it takes the guesswork out of fuelling for an endurance event. We have also reduced the prices of the TORQ bars by £0.20 per bar, bringing them directly in line with the pricing of our gels. £1.35 will buy you either a TORQ bar or TORQ gel, both containing 30g of carbohydrate. £1.60 will buy you the Organic Mango TORQ bar or a TORQ gel with Guarana, again containing 30g of carbohydrate per item. As it has been so long since the TORQ bar was launched back in 2004, this is an ideal opportunity to give you a refresher on the key features of the product, so read on if you haven’t heard it all before. There are some great new photographs hot off the press if you don’t want to get into the ‘heavy stuff’. 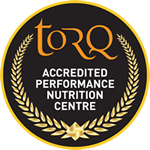 TORQ bar has been painstakingly formulated to produce a food that is ultra high in carbohydrate, very low in fat and with ingredients wide-ranging in glycaemic index for immediate and sustained glucose release. Just as important, this bar has been designed to taste great with a cup of tea too! All too often energy bars are dry and difficult to eat – and those that aren’t contain far too much fat. TORQ bars are delicious, moist and chewy, containing just over 2grams of fat per 100 (approximately a gram per bar) and packed with usable carbohydrate. This makes it the perfect food and fuel choice before, during and after exercise. • Carbohydrate: They ‘need’ carbohydrate full stop. They ‘need’ it whilst they exercise to spare their limited glycogen reserves and at rest to top their valuable stores back up again. TORQ bar contains over 70 grams of carbohydrate per 100g (30 grams per bar) and TORQ bar’s unique blend of Maltodextrin and Fructose Syrup maximises ‘available’ carbohydrate*. • Glycaemic Index: They ‘need’ a food with ingredients wide-ranging in glycaemic index for immediate and sustained release of glucose into the bloodstream. TORQ bar has been carefully formulated to include ingredients with low, moderate and high glycaemic indices for this purpose. • Ultra low fat: They ‘need’ a food that is ultra low in fat to guarantee rapid digestion and minimize the intake of ineffective calories. TORQ bar contains only 2 grams of fat per 100g (just over a gram per bar). • Easy to eat: They ‘need’ a food that is easy to eat, or they won’t eat enough of it to derive the benefits. There are too many dry energy bars out there, making it difficult to supply sufficient carbohydrate calories – the ones that aren’t dry tend to contain too much fat. TORQ bar is delightfully moist and chewy, yet it remains ultra low in fat and high in carbohydrate. • Tasty: They also ‘need’ a food that tastes so good that they choose to snack on it in preference to high fat, less effective alternatives. Some energy bars are encapsulated with chocolate to entice the customer into buying. Many of these bars taste great, but you can’t coat a bar with chocolate and keep it low in fat. 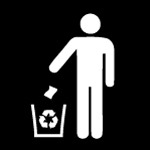 Therefore the product becomes compromised and less effective in supplying useful energy. The careful formulation and preparation of TORQ bar has ensured a delicious deep flavour, with a mouth-feel more commonly associated with a higher fat food. • Ribose: Finally, athletes and physically active people ‘need’ to recover quickly if they are to maintain a lively performance day in day out. The simple and complex carbohydrates in TORQ bar will rapidly re-stock the body’s depleted glycogen stores, but will do nothing to address the actual energy charge of the muscle cells. After particularly heavy physical training, full recovery at a cellular level can take many days. Research** has proven that supplementation with ribose can boost cellular recovery by a staggering 340-430%. Ribose is natural sugar present within every living cell of the body and is used to manufacture ATP (the energy currency of the cell) from scratch. Whilst the body can manufacture its own ribose from glucose, this requires energy and is a very slow process. Supplementing with ribose simply bypasses this course of action. TORQ ribose is also sold separately, so if you’re interested in finding out more about this supplement, visit the ‘TORQ RAW’ section of our online shop. Four of the TORQ bars carry the Fairtrade logo which guarantees farmers in the developing world a fair price for their crop. The Organic Mango TORQ bar is certified organic by the Soil Association and contains organic fairly traded mango. The TORQ bar’s ingredient matrix is simple and natural, because extensive research supports the effectiveness of this approach. TORQ Bars weigh 45g, are sold individually in 100’s of stores nationwide, or in packs of 24 from this website. A 10-bar sample pack is also available from this website. We’re also selling off our old 65g TORQ bars at bargain prices whilst stocks last. Click HERE for further details.